This is an introductory wheel throwing class perfect for a group of friends, family, couples or even by yourself (you will make friends in this class, I promise). In this class, you will be learning the basics of forming a ball of clay into a beautiful vase, cup, mug, bowl, or plate. If you’re feeling especially inspired to take on more… how about a bird feeder or planter!?! The possibilities are endless with pottery. Materials will be provided. Additionally, the items you create get to go home with you to share with all your friends and family. All items made are food, dishwasher, and microwave safe. Classes will be four Tuesdays. NOTE THAT THIS CLASS WON'T MEET ON APRIL 16th. Class fee is $100.00, includes $10 materials fee. Note: Please trim your nails down. Longer nails make throwing on the wheel very difficult. See you all in class! Feel free to share with friends and families. This is a high demand event with limited spaces available. A request of cancellation must be received by email to classes@fresnoideaworks.org 72 Hours prior to the event date to be eligible for a refund. Please note, a $15.00 processing fee will be assessed per cancellation from the total refund. This is an INTERMEDIATE wheel throwing class perfect for those looking to expand their wheel throwing skills. In this class, you will be learning advanced shaping, lidded forms, trimming and much more. The possibilities are endless with pottery. Classes will be four consecutive Sundays. Class fee is $110.00, includes $20 materials fee. Ideaworks Beginning Machine Shop 101 is a 4 session course; each session is 3 hours. Students will gain a core understanding of how to operate machine shop equipment safely and get familiar with basic techniques. Our project for this class will be learning how to make a hammer. This class is for hobbyists, makers or anyone wanting to try something new and challenge themselves a bit in a comfortable collaborative environment. Do not wear rings or other jewelry. Ideaworks Beginning Welding 101 is a 3-session course; each session is 3 hours. 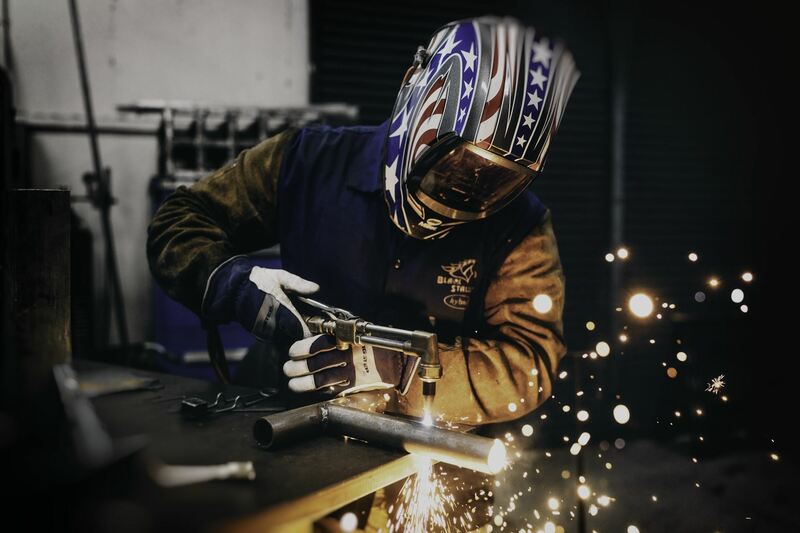 Students will gain a core understanding of how to operate welding equipment safely and get familiar with basic techniques. This class is for hobbyists, makers or anyone wanting to try something new and challenge themselves a bit in a comfortable collaborative environment. Check the class times shown to ensure you can make it to every session. Courses come with a 30-day membership to Ideaworks. This entitles you to unlimited access to the Weldatorium, with emphasis towards Metal Monday's hosted open shop nights. This gives you additional time with our welding instructor as well as full access to equipment. Membership has its privileges. Do not wear clothing made from synthetic or synthetic blends. The synthetic fabric can burn vigorously, melt and produce skin burns. This is an fun Slip Casting class perfect for a group of friends, family, couples or even by yourself (you will make friends in this class, I promise). In this class, you will be learning the basics of Slip Casting and painting with glaze. The possibilities are endless with pottery. Classes will be two consecutive Wednesdays. Class fee is $65.00, includes $5 materials fee. Introduction to Wood Stabilizing presents woodworkers an additional options for otherwise useless wood. When resin is applied, otherwise useless wood is able strengthened and able to withstand changes in temperature and moisture. Such wood is more capable of being turned on the lathe and polished. 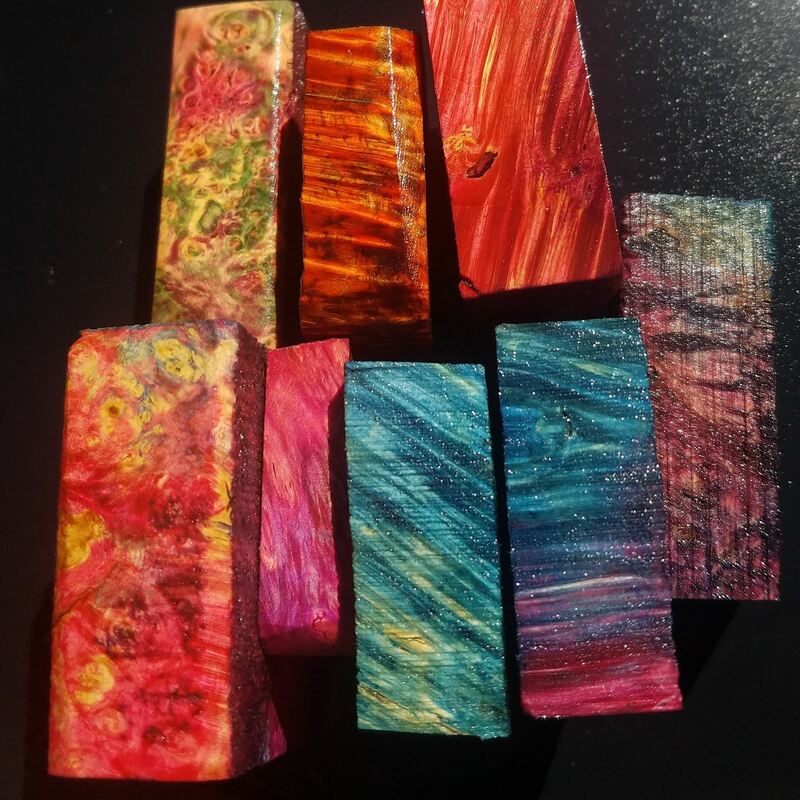 This class will introduce methods for applying new or additional color into wood as well as the option of stabilizing while maintaining the wood's natural look. The universal process of twisting loose fibers is called spinning, and fibers from animals, plants, and synthetics can be processed and prepared and joined by twisting into a cohesive long strand. This strand is called a "string" or "yarn". In this class, students will learn to take wool, an animal fiber, and transform it into yarn. Students will learn the entire process of fleece cleaning, preparation, and spinning. 11 Dec 2018 Tech Tuesday: Christmas Tree Lane LED Walk. 07 Oct 2018 Last day to remove personal property from the Shop! 03 Aug 2018 Fox 26 "GreatDay" at Ideaworks! 15 Oct 2017 Reclaimed Wood Pallet BAR.